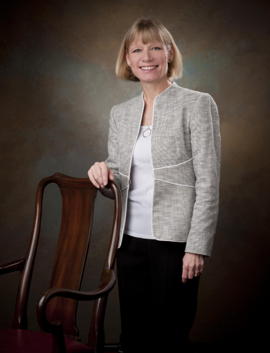 Cathleen S. Wharton, who joined the University of Georgia School of Law's Legal Research and Writing Program in 1983 and has served as its director since 1988, retired in June 2016. She has literally written the book on her subject, as she is the co-author of a leading text used by legal research and writing programs across the country, A Practical Guide to Legal Writing and Legal Method (5th ed., 2013, with John Dernbach, Richard Singleton, Joan Ruhtenberg and Catherine Wasson). She has also co-authored Citation Form for Briefs and Legal Memoranda (1997, with Daisy Floyd and Bertis Downs). Wharton developed teaching materials for the first-year legal writing program and taught one section of the first-year legal writing course. She was also responsible for administrative duties, the selection of texts, the supervision of other writing teachers and the coordination of computerized research training for first-year students. She served as an adjunct faculty member for the Georgia Institute of Continuing Judicial Education from 1989 to 2005, developing and leading numerous seminars on legal writing or legal research for Georgia's judges and courtroom administrators. In 1993, she was honored with ICJE's Award for Continuing Service to Judicial Excellence. Wharton also served as a consultant with the Athens law firm Cook, Noell, Tolley & Aldridge from 1983 to 1990, assisting the managing partner in preparing civil cases for trial and appeal. Wharton is a member of the Association of Legal Writing Directors, the Legal Writing Institute and the American Association of Law Schools Section on Legal Writing and Research. Wharton earned both her bachelor's degree in journalism and her law degree from UGA. A Practical Guide to Legal Writing and Legal Method, 5th. ed. (Aspen Publishers, 2013) (with John C. Dernbach, Richard V. Singleton II, Joan Ruhtenberg and Catherine J. Wasson). A Practical Guide to Legal Writing and Legal Method, 4th. ed. (Aspen Publishers, 2010) (with John C. Dernbach, Richard V. Singleton II, Joan Ruhtenberg and Catherine J. Wasson). A Practical Guide to Legal Writing and Legal Method, 3d. ed. (Aspen Publishers, 2007) (with John C. Dernbach, Richard V. Singleton II, Joan Ruhtenberg and Catherine J. Wasson). A Practical Guide to Legal Writing and Legal Method, 2d ed. (Rothman, 1994) (with John C. Dernbach, Richard V. Singleton, II, and Joan M. Ruhtenberg). CALI Program Citation Form for Briefs and Legal Memoranda, 1995, rev. 1997 (with Bertis E. Downs, IV and Daisy H. Floyd).